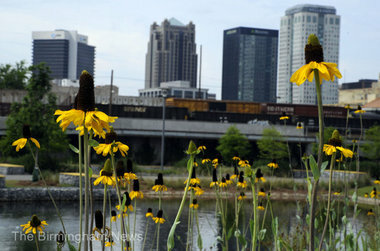 Study of Birmingham's Railroad Park dispels some myths | al.com: BIRMINGHAM, Alabama -- A scientific study of who uses downtown's Railroad Park and how they use it confounds some commonly held myths about the park, according to researchers for UAB's School of Public Health. Conducted from last summer to this spring, the study recorded the activity of 5,000 visitors to the park. Information was collected in the morning, midday, afternoon and evening, in good weather and bad. The study findings were shared at a Friday Lunch & Learn gathering at the Jefferson County Department of Public Health. According to University of Alabama at Birmingham professor Nir Menachemi, some people initially assumed the park, which lies just south of the downtown railroad corridor between 18th and 14th Streets, would be frequented only by affluent over-the-mountain whites, that no one would go there in the evenings, or in the summer's heat or the winter's chill. The study found all those assumptions to be false.